Dropping from a whopping 335 metres (1,105 feet), Shannon Falls is BC’s third tallest falls and the Sea to Sky corridor’s most popular spot for a picnic. Around the base of the falls you’ll find a well-maintained boardwalk and trail network to explore some of the area’s towering trees, old-growth stumps and the ever-present mist from the roaring falls above. There are also some fantastic rock climbs at Shannon Falls, largely on the rock slabs to the south of the falls. The classics include the steep slab of Local Boys Do Good and the imacculate Klahanie Crack. At the far south end of the cliff, the Gobsmacking Wall offers some steeper, more featured climbing. The cliffs at Shannon Falls have some of the area's highest density of 3 star routes in the 5.11 range, yet see relatively few ascents. Group picnicking reservations are available for the grassy area above the day-use area from March 15 to October 14. To make a reservation visit www.discovercamping.ca. As this area does get busy especially during the summer months, the prime time to visit is in the spring and fall when it’s less crowded. Plus, you’ll get to experience the high water levels from the rain and snow-melt which make for a raging, thunderous falls. Shannon Falls Provincial Park is located just off the Sea to Sky Highway approximately 58 kilometres north of Vancouver and just 2 kilometres south of Squamish. The falls is adjacent to Stawamus Chief Provincial Park. Just off Highway 99, Shannon Falls offers a spectacular spot for a group picnic. 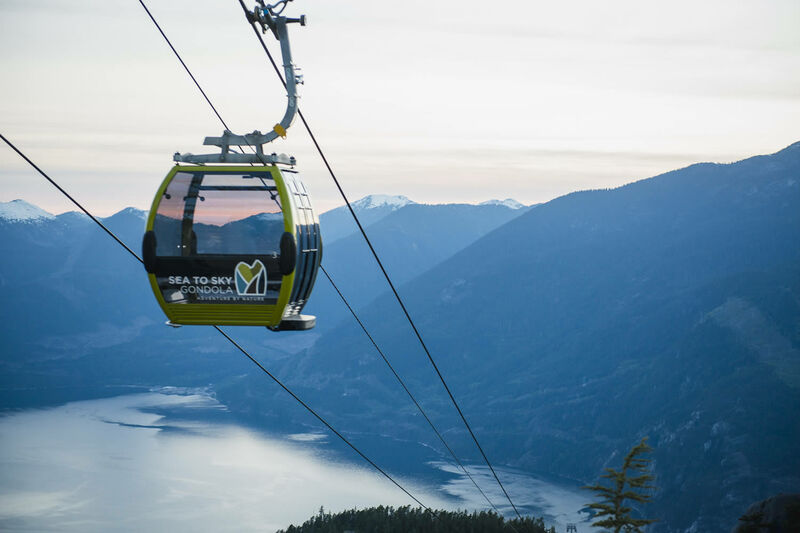 This location is also conveniently situated adjacent to both the Sea to Sky Gondola and Stawamus Chief Provincial Park. Towering 702 metres above Squamish is the Stawamus Chief. Known locally as the Chief, this massive cliff face is one of North America's largest granite monoliths. It’s also home to one of the most classic hikes in the Sea to Sky Corridor.